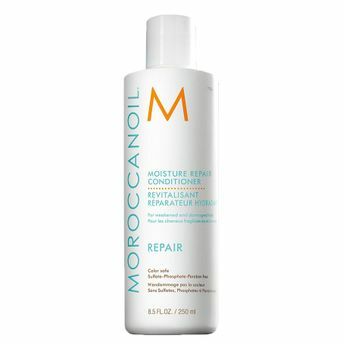 Moisture Repair Conditioner is for hair that has been weakened or damaged by color, chemical processing or heat styling. It restores hair by bathing it in a highly concentrated formula rich in antioxidant argan oil, reconstructive keratin and fatty acids. Restoring elasticity, moisture and manageability, the formula?is free of sulfates, phosphates and parabens, so it's safer for the environment and won't dry, fade or strip color-treated hair. Explore the entire range of Conditioner available on Nykaa. Shop more Moroccanoil products here.You can browse through the complete world of Moroccanoil Conditioner .